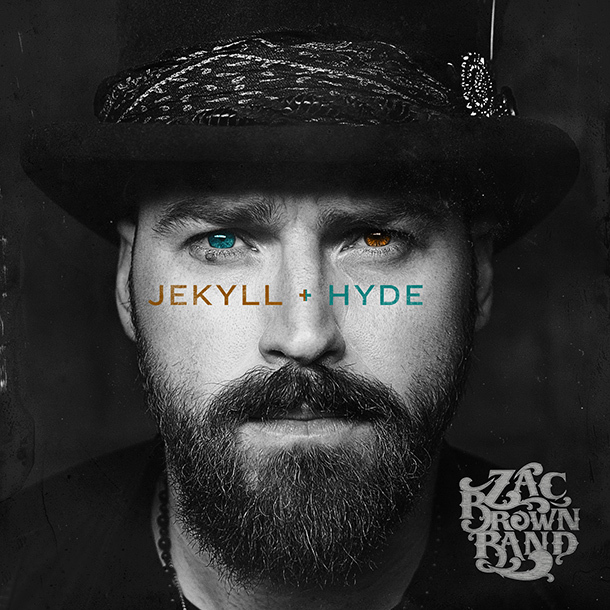 Three-time Grammy winners the Zac Brown Band are at it again with their 8th album JEKYLL + HYDE released on April, 28th 2015. This 16 track album is, in my opinion, one of the best albums they’ve released featuring songs with artists such as Sara Bareilles and Chris Cornell, rhythm guitarist for Soundgarden. Their JEKYLL + HYDE tour starts on Friday June 12th and has a two night stop over in Toronto at my favourite venue the Molson Canadian Amphitheatre on September 3rd and 4th! Oh and fun fact, if you buy tickets to any of their shows online you get a free digital copy of the album! Just before I start, can I just say that I love this album cover! Coming from a person who, one summer spend three days, I repeat three full days, making sure that every song in my iTunes library had a piece of album artwork attached to it, I’ve seen a lot of album covers and I truly love this one. Loving You Easy just has such a light, fun loving, summer sound to it! In all honestly this has become one of my favourite songs to sing (yell) in the car with the windows down. Homegrown is another favourite of mine. It starts out with a Bon Jovi-sounding intro then goes straight into that oh so familiar Zac Brown Band sound! Between the great music behind the whole band singing and the lyrics that make you think of family and friends hanging out at the cottage or at home over the summer, it is for sure going to be a ZBB staple song! “I’ve got everything that I need, nothing that I don’t” Can you say the same? Beautiful Drug starts out very slow, kind of dark and a little mysterious but very quickly the pace of the song picks up, the bass comes in and the song turns into an anthem! This is my summer song for 2015! Mango Tree featuring Sara Bareilles is a change to ZBB’s normal sound, it’s got an old time jazz sound to it. I love it none the less, for a band who’s staple sound is country, they some how pulled this off! Heavy Is the Head featuring Chris Cornell is another song found off this album that changes up their sound. This song has more of a heavy metal/rock sound to it. Featuring the rhythm guitarists form Soundgarden, it’s naturally, electric guitar heavy but again they pull it off! Tomorrow Never Comes is a special track to this album because there are two versions that have been released. The first is the original which has an electric sound to it but it makes you want to move! It’s got their similar instrumental sound but it’s been changed and edited. The other is their acoustic version which is actually my favourite track on the album. You know those songs at concerts that every single person sings along with the band? The one that gives you chills to heard a crowd join in and not miss a work? That is what this song reminds me of, the acoustic version however. This is the song and version that makes me want to see them live, to experience that moment while in the crowd. Some of my other favourites from JEKYLL + HYDE include, Bittersweet, Young and Wild and I’ll Be Your Man (Song For a Daughter) but if you listen to them you’ll understand why. What I love about this album is that the band has their signature sound on so many songs but does a lot of experimenting with different techniques and genres as well! This is one of those albums that truly has something for most people! The band has found a way to reach out to different audiences without loosing or abandoning their original sound, like so many other bands have done in the past! If you want to find out more about this album watch their mini-series that they did on YouTube “Behind the Album JEKYLL + HYDE”, it’s awesome.